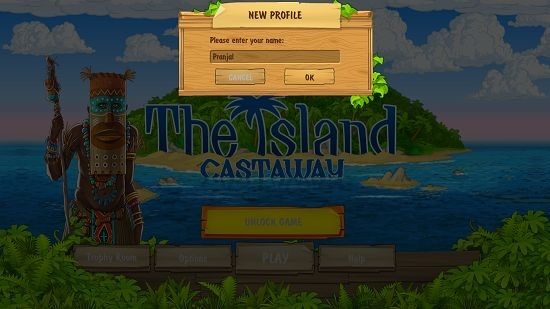 The Island: Castaway is a free adventure game for Windows 8 and 8.1. In the game, you have been thrust away to an unknown island by a tsunami which crashed on your ship. The ship has been wrecked and now you can’t go back, so you have to manage all the tasks at hand at the island itself. Some people have died in the crash, but around 5 of them are still alive and you have to stick together and accomplish tasks like building up bonfires, setting up tents etc. The game really tests your strategic skills and has a few quests here and there to keep you going. 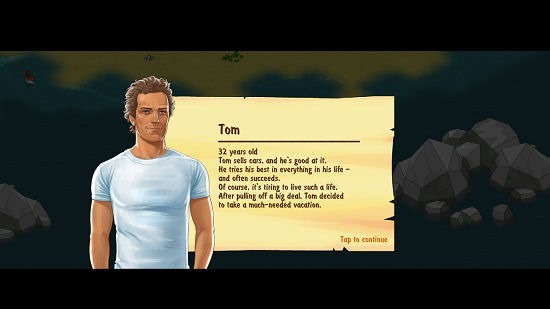 The Island: Castaway is available for free from the App Store. The game is very well polished. When launched, it will show you an introduction video like most other games of this genre. Once the video is over, you will be asked to input your name. 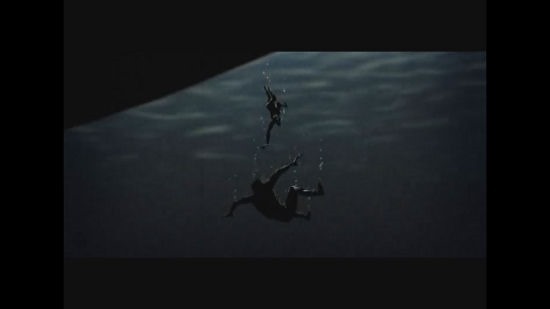 And then, you will be introduced to the survivors of the game one by one in the following fashion. The narrator has a smooth voice and he reads out everything written on the introduction parchment. You can tap away at the screen to read about the other survivors. Finally, you will be brought to the gameplay screen. You can tap on objects to walk to them and pick them up. In the game you will have a set amount of health which will be visible beside the heart icon. You can nourish your health by consuming fruits like lemons, apples, coconuts etc. which you will find littered near the trees of the same type. Your inventory goes in the inventory box at the bottom which can be opened up by pressing on the rucksack button at the bottom left. You can click on the inventory objects to interact with them. For example, clicking on a fruit will make you consume it and your health will be increased. When other survivors have a task at hand for you, they will appear in the otherwise blank box at the screen bottom. The items needed for collection for completion of the task can again be found on the island itself, and as the island is pretty big, it may take time for you to locate them. Once collected, walk up to the survivor who has given you the task and hand them over the objects collected. 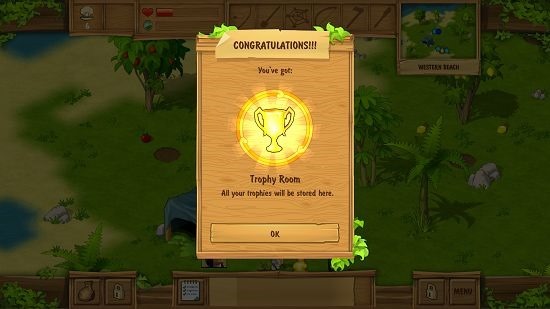 As you complete tasks and progress through the game, certain achievements get unlocked in the following fashion. The game can be paused at any instant via the convenient action of pressing the Esc. key. This winds up the main features of The Island: Castaway. 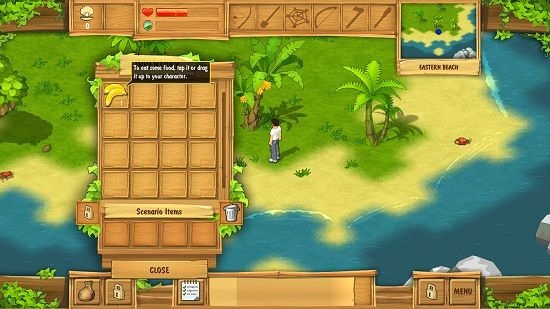 The Island: Castaway is a pretty interesting game for Windows 8 and 8.1 which puts you in a grueling situation of survival at any cost. The game really makes you think about what could happen in a situation like this, and hence is a must have for not one, but many reasons!